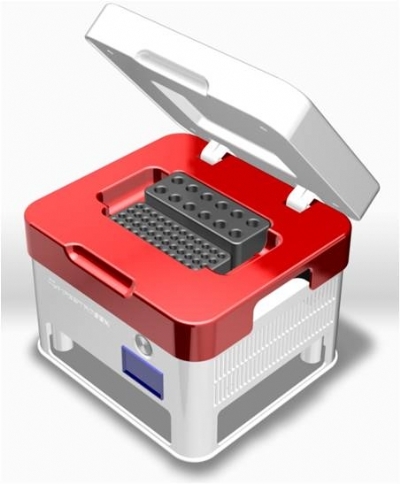 "eCooler – electronic scientific grade ice bucket"
Throw away your dry ice and ice bucket! No more changing ice with precious samples! Safe for the environment and for you! 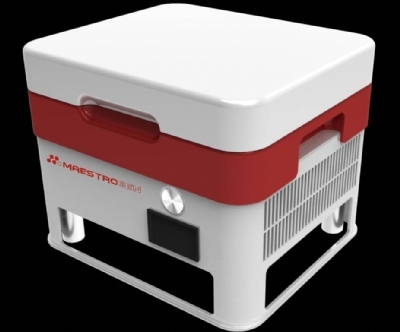 The eCooler is a portable cooling box that can be used in place of scientific ice buckets and dry ice. The eCooler's UltraRapid cooling speed enables to the cooler to reach below 4°C from room temperature in less than 10 minutes! Do you work with dry ice in the lab? Dry ice is solidified carbon dioxide an when it melts, it turns into carbon dioxide gas. If you experience headaches working around dry ice, it could indicate overexposure to carbon dioxide. The eCooler eliminates the need to use dry ice or ice! Simply plug the in the unit, turn on the power button, and save energy and the environment. Every eCooler diminishes CO2 emissions by 2.67/MT per year! 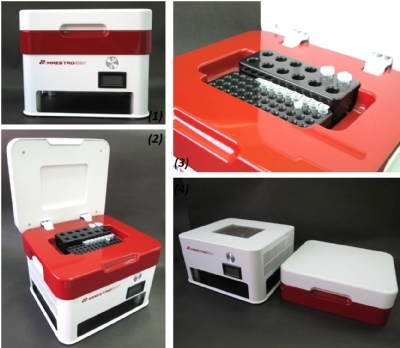 The eCooler is very quiet (19 dB-A) and can accommodate all standard microcentrifuge tubes in its aluminum racks. 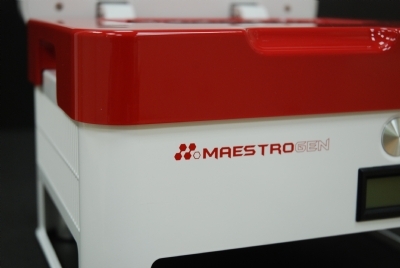 The top (red) cooling module of the eCooler can be removed for easy carrying of samples. 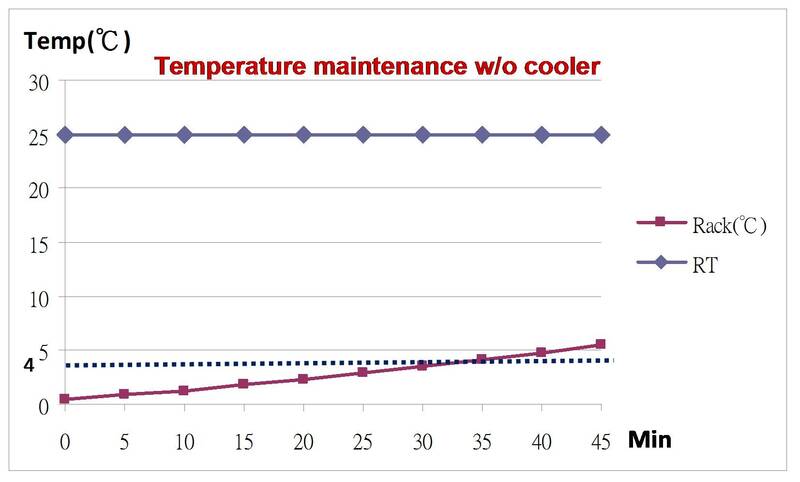 Your samples will stay cool for at below 4°C for up to 25 minutes! The included aluminum sample racks (1.5 mL 12 holes / 0.2 mL 48 holes for eppendorf tubes) make it easy to keep track of samples!